Calf Stall installation is quick and easy with the Dura Bilt Calf Stall. Watch this short step by step video for complete demonstration. Start Begin your calf stall installation by attaching the back gate to the first side panel by lining up the holes and inserting a drop rod. 0:28 Repeat with the second side panel. 0:51 Pick up floor using a drop rod and rest it on the tabs on both side panels. 1:34 Continue down the row starting with the back gate and moving to the next side panel. 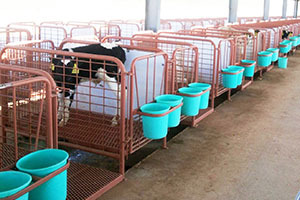 2:56 Attach front gates with the rods on the gate facing the inside of the stall. Line up and drop in the rods. 3:54 Attach the bucket holder using a 9/16″ socket impact wrench and a box end. Line up the holes and come from the inside to insert the bolts. Attach the outside bolts first and finish with the center bolt. Attach washers and nuts and tighten. 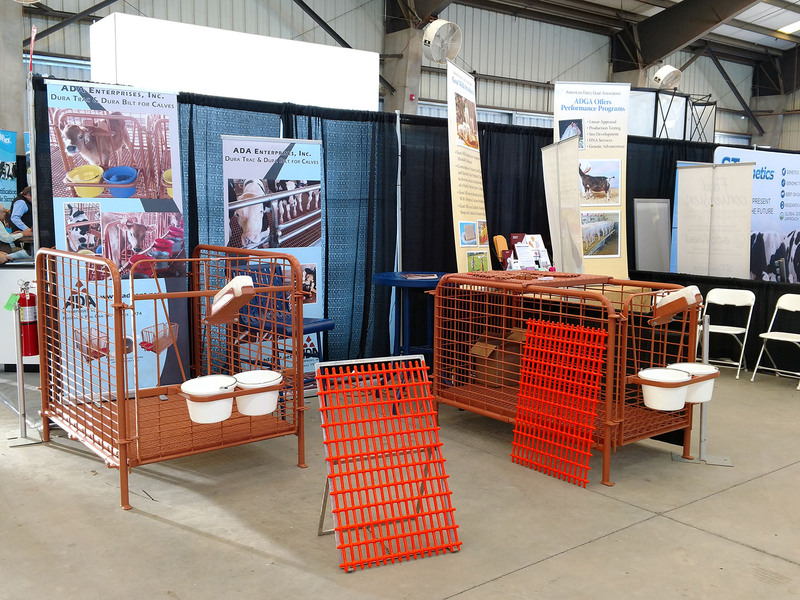 6:30 Walkways (optional) Place the walkway floor right next to the stall. 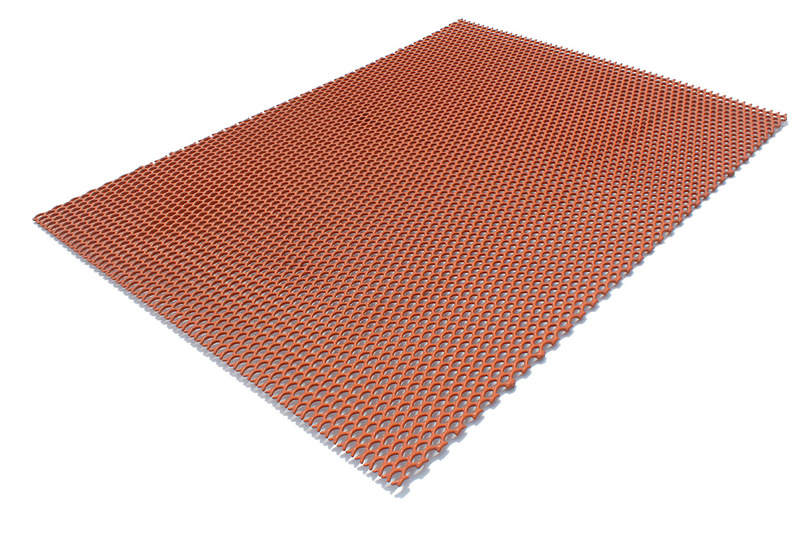 Use the peg holes in the corner tabs to attach floor to the concrete. 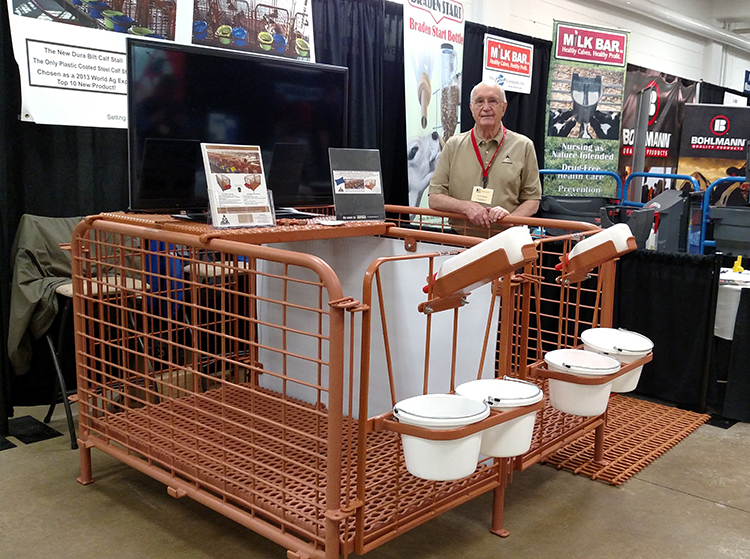 For more information regarding your calf stall installation, click here. Or call Monday through Friday, 8:00 a.m. until 4:30 p.m., at 641-324-1093 or toll free U.S. and Canada 800-533-6033. Accessories shown are compatible with the Dura Bilt Calf Stall. 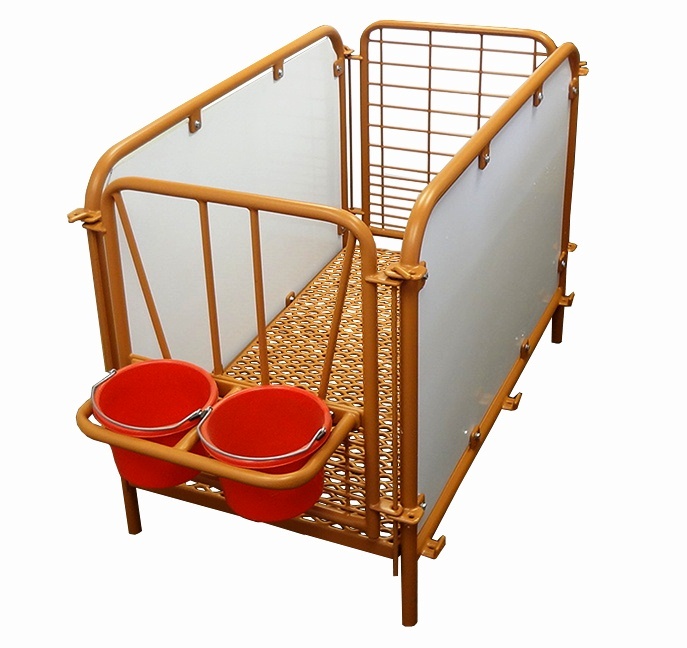 This completely poly-vinyl coated steel bottle holder easily attaches to the Dura Bilt Calf Stall with options available for either a two or a three quart bottle. 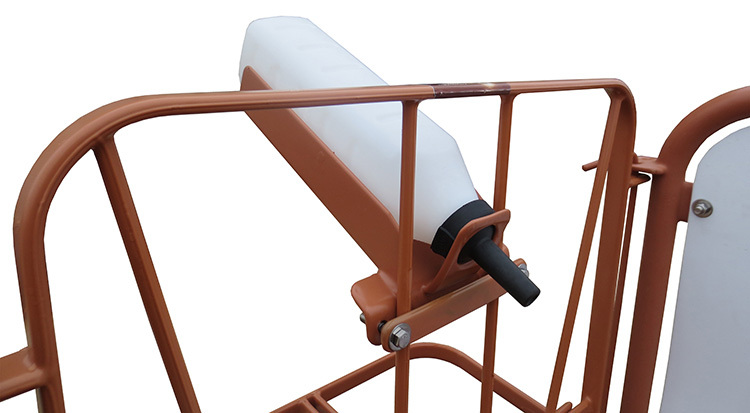 Our bottle holders come with a backstop to keep the bottle from being pushed out, saving you from picking bottles up off the ground. Feed and water pails are 8 quart sizes. 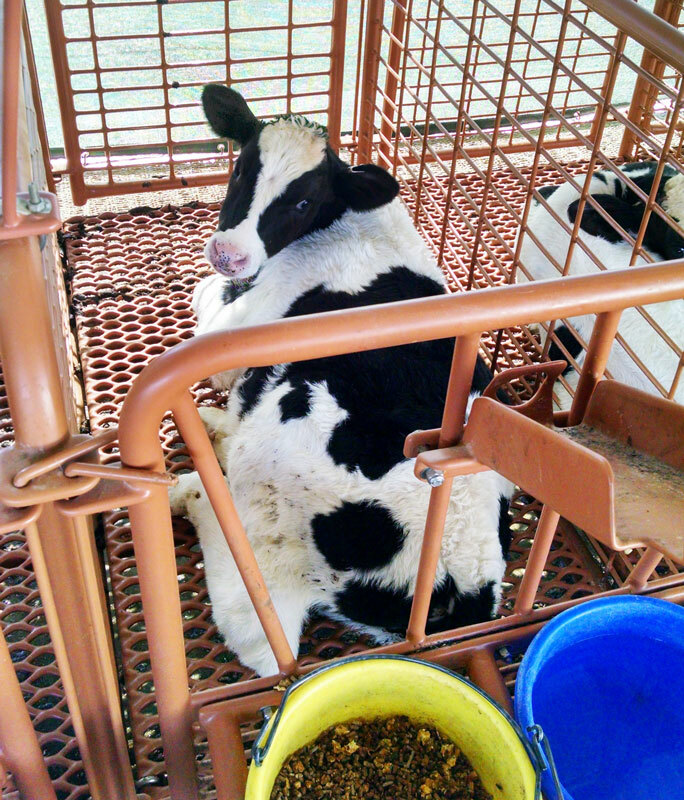 Learn more about Dura Bilt Calf Stalls and how they will work to your benefit! Call us today or find out more by clicking the link below. 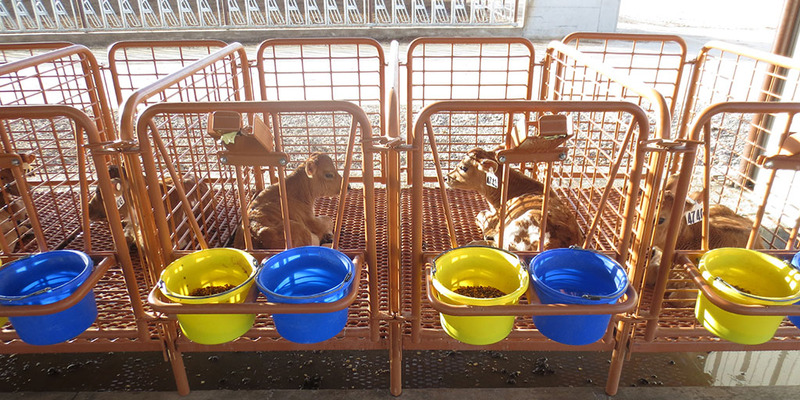 From a Dura Bilt Calf Stall customer: With our new calf rearing system it is easy to achieve our target weaning weights on a monthly basis with less mortality. 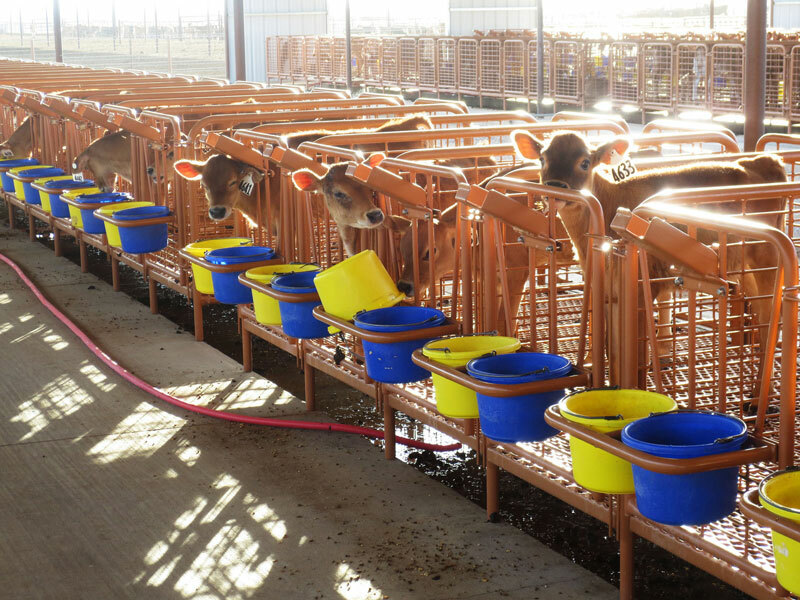 800 female calves monthly weaned at 78 days of age at an average weight of 104 kg. 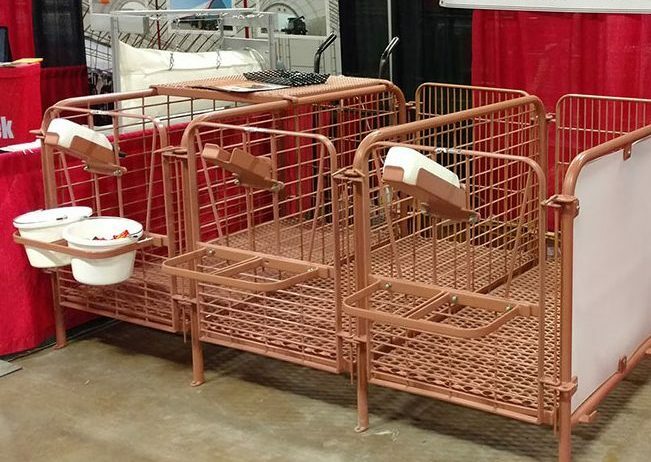 Sign up to receive special offers, giveaways, and trade show updates!